. . . and a secret that blows the heroine’s world apart. South Georgia, 1956: Quincy Bruce is ecstatic! She’s going to live with her Aunt Addy while her parents traipse around Africa saving souls. Her aunt is all the things her parents are not: exciting, adventurous, educated, and not so offensively pious. Addy is also rich. Not that Quincy cares much about money. What she does care about is that Addy is the only person who supports her ambition to become a musician. Addy, a war widow, once typed manuscripts for the famous author, Nathan Waterstone (now dead). 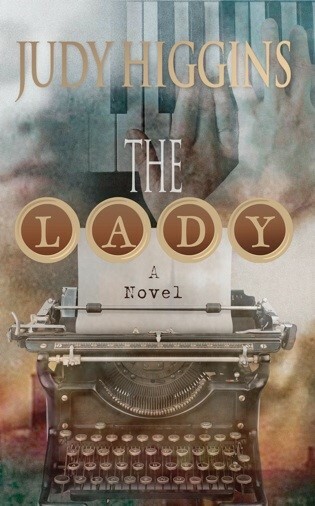 As Quincy prepares to move in with Addy, another aunt accuses Addy of having been the inspiration for the adulterous woman in Nathan’s infamous World War II novel, The Lady. Quincy, horrified at the accusation, sets out to find out who the real Lady was in order to prove her aunt’s innocence. Instead, Quincy discovers a secret that blows her world apart. This isn’t a good book; this is a GREAT book! E.L.
. . . It has been years since I read a novel as good as The Lady. It is by far the best first novel I have had the pleasure and the joy of reading. The writing is lyrical, the story is fresh, the characters beautifully and passionately drawn and the suspense carefully nurtured until the last chapter. I implore you to read it. This is one of those books that I will reread for the enjoyment, and I reread very few books because there are so many of them and so little time. E.L. Amazon Reviewer.